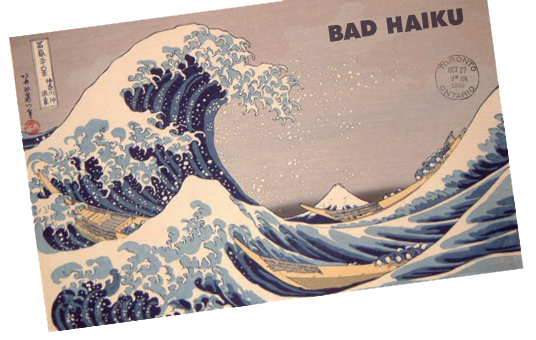 Some of my Bad Haiku? I thought I was expecting. Delivered to your sad face. Guilty feet. Got no rhythm. Used pennies. Not dimes! Cheater!! We walk together. Tails High. Wait wait wait... my bad. Now I am inspired ! grace of God thing, kay?